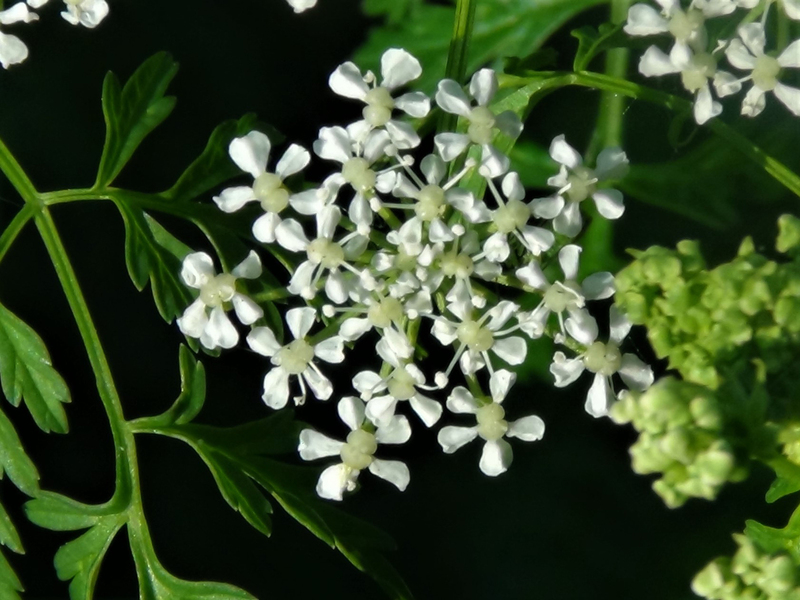 A common deadly poisonous plant from the Apiaceae or Umbellifer family that will tolerate many different environments and conditions. 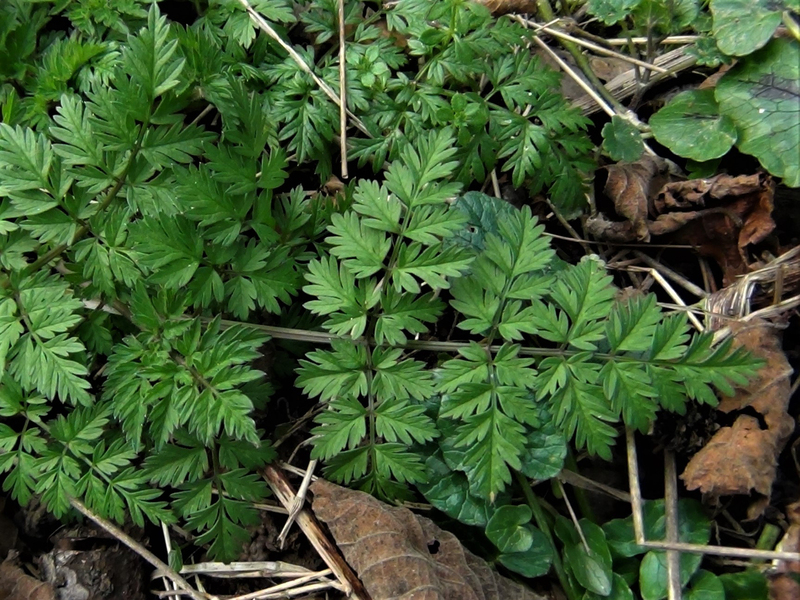 A bit fern like with two to four pinnate divisions, the whole looking triangular in shape. 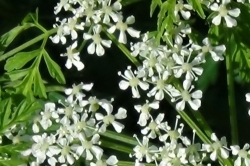 A white collection of tiny flowers growing in an umbel in Spring to early Summer. 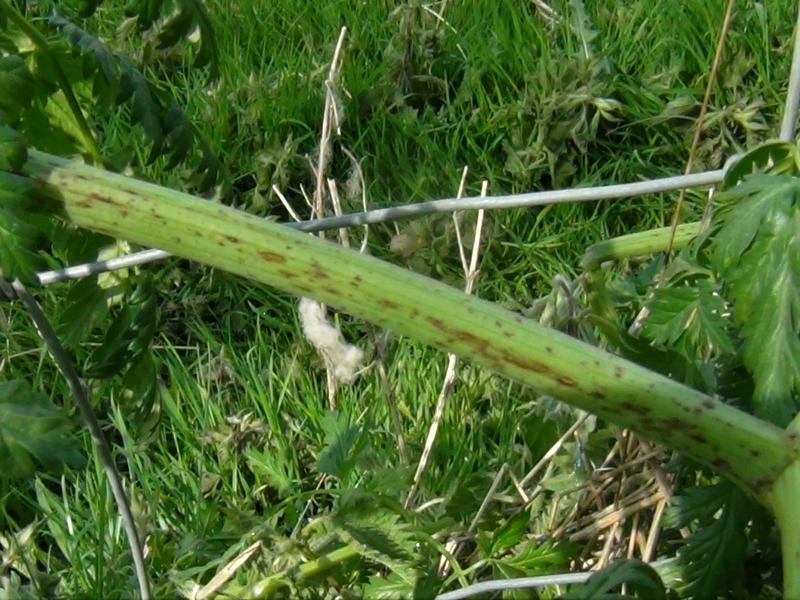 Small flat green seeds that brown on maturity. 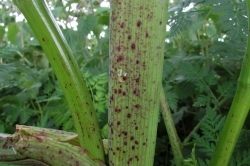 The stem is smooth, hairless, grooved, green and usually covered in purple/red spots and streaks and can reach up to eight feet tall. 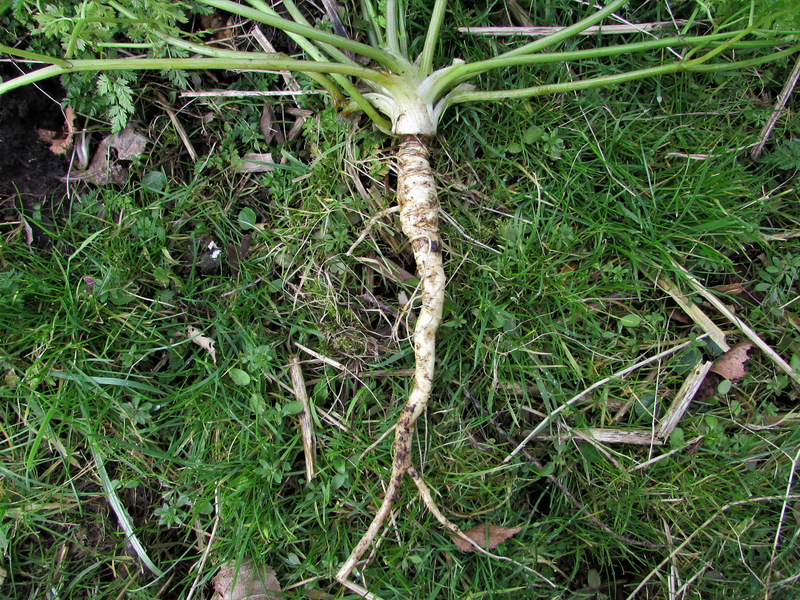 Like a parsnip only usually more twisted and forked. 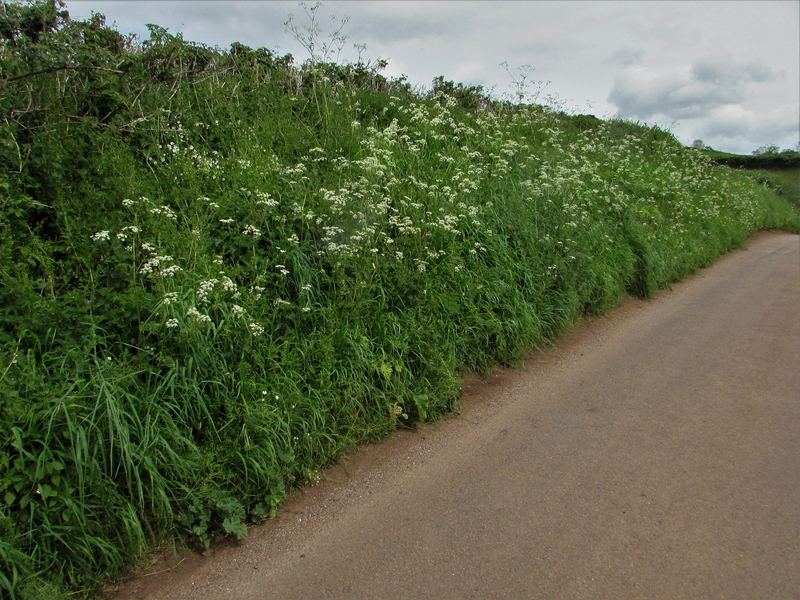 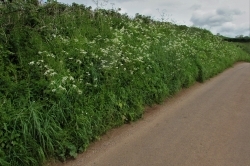 Roadsides, waste ground, field edges, path edges, meadows, and poorly drained soil near streams or ditches. 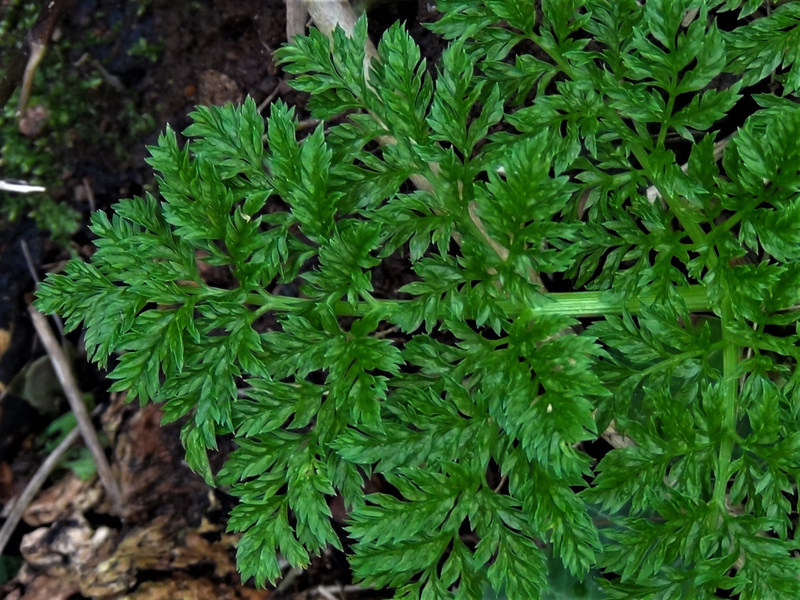 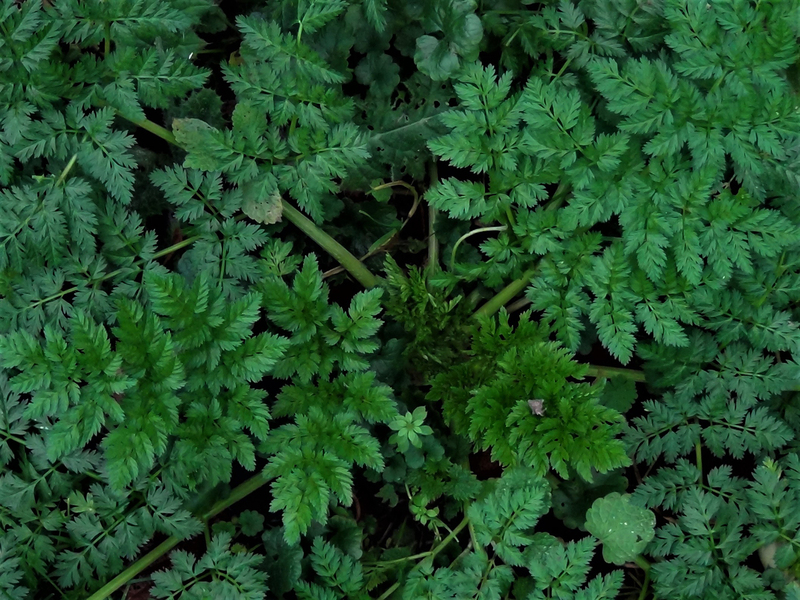 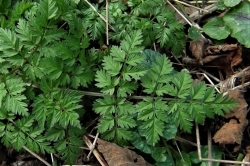 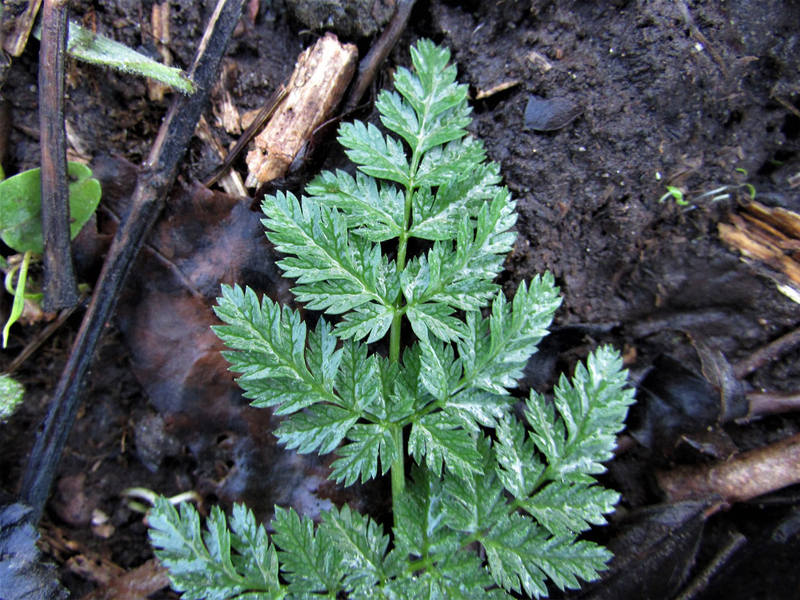 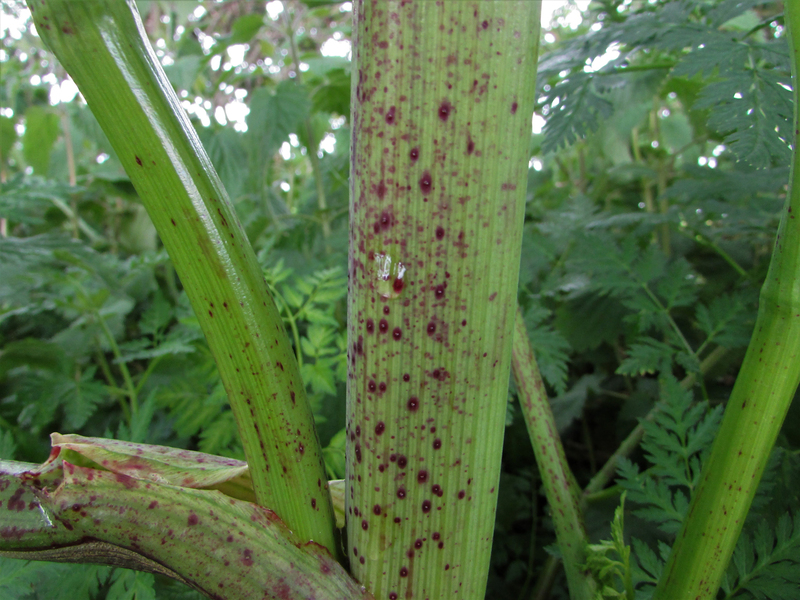 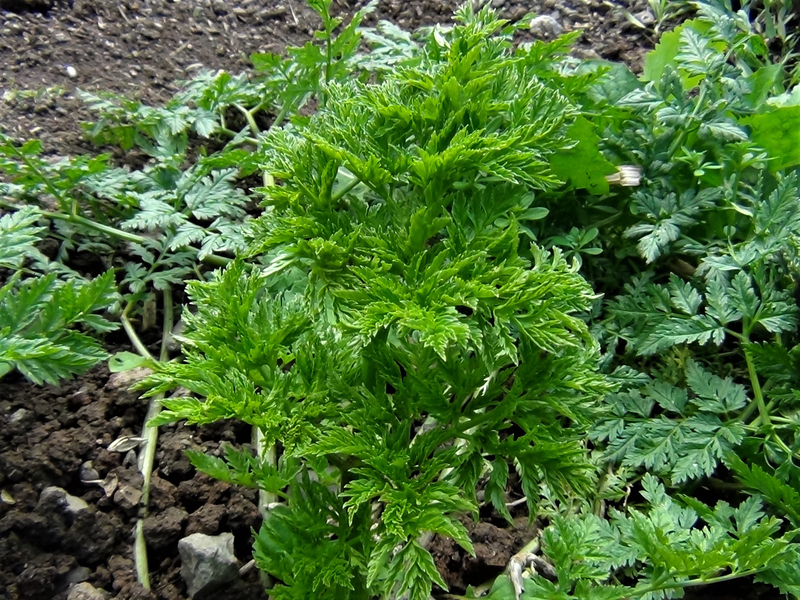 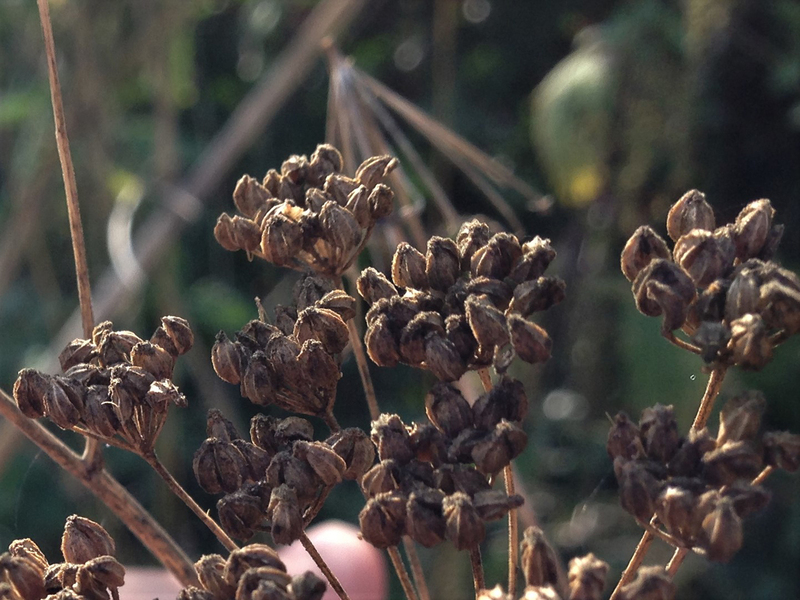 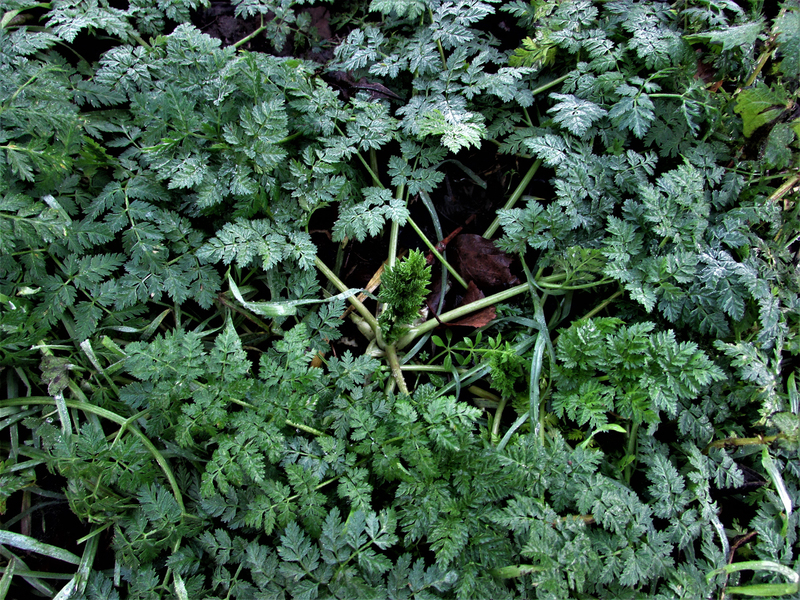 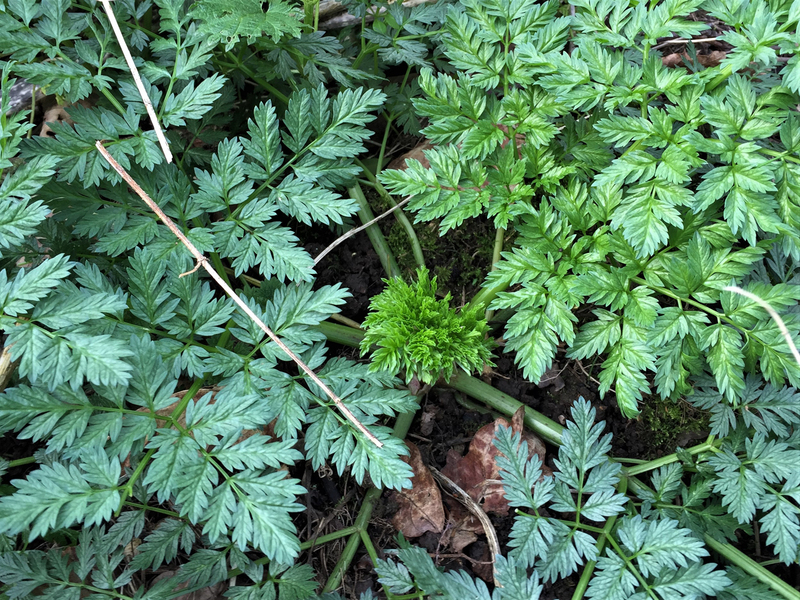 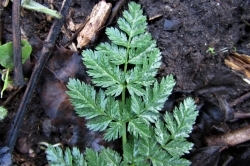 With its purple spots and unpleasant smell it is hard to confuse this plant with any other than Chervil, pictured, or other Umbellifers, some of which are deadly poisonous.. 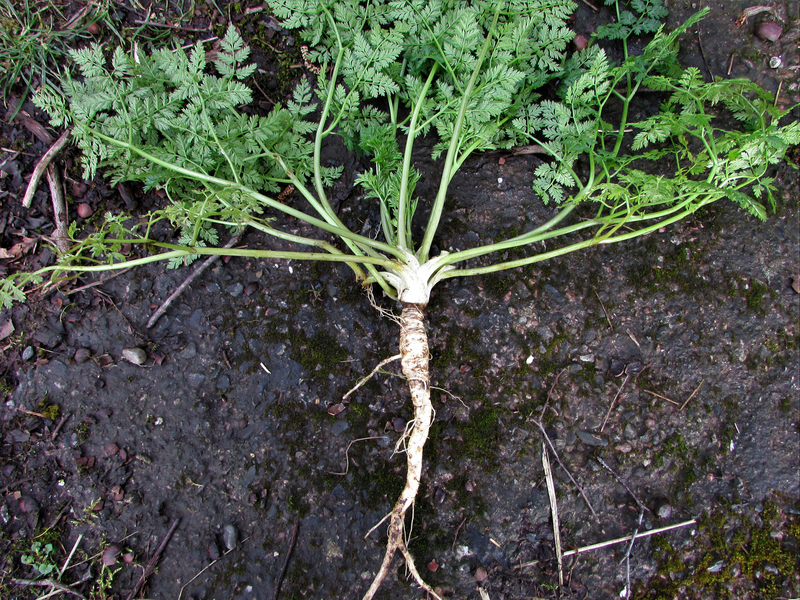 Unpleasant, said to be like mouse urine or off parsnips. 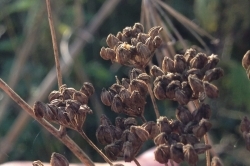 It was used in the past as a sedative and antispasmodic but is considered too toxic for home medicinal use now. 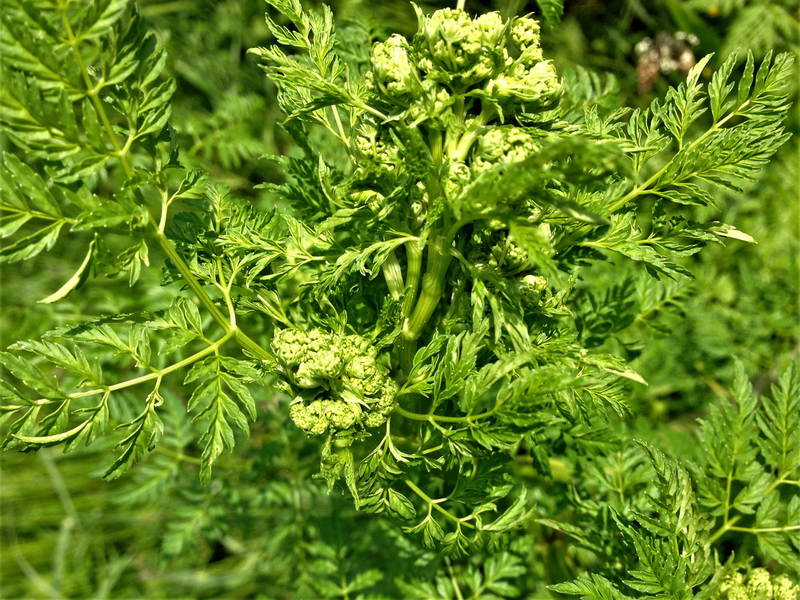 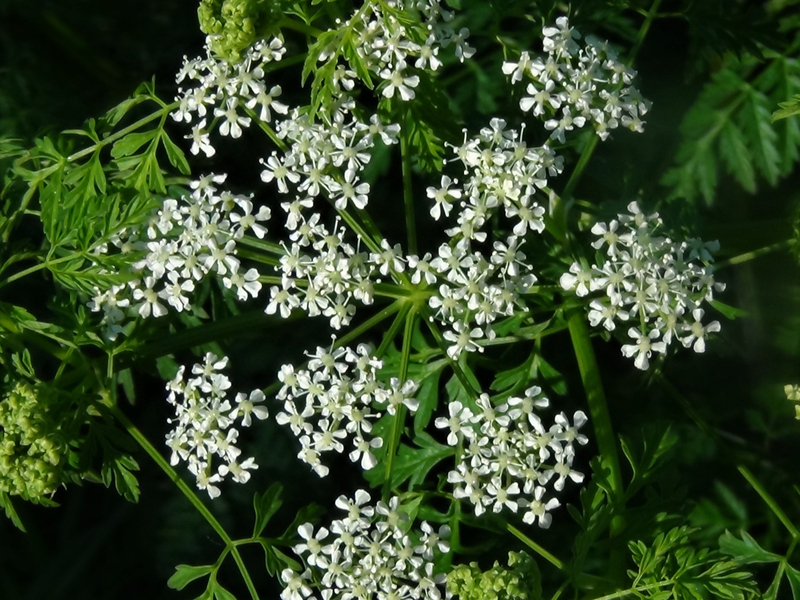 This member of the Apiaceae or Umbellifer family is acutely toxic to people and animals and symptoms can appear twenty minutes to three hours after ingestion. 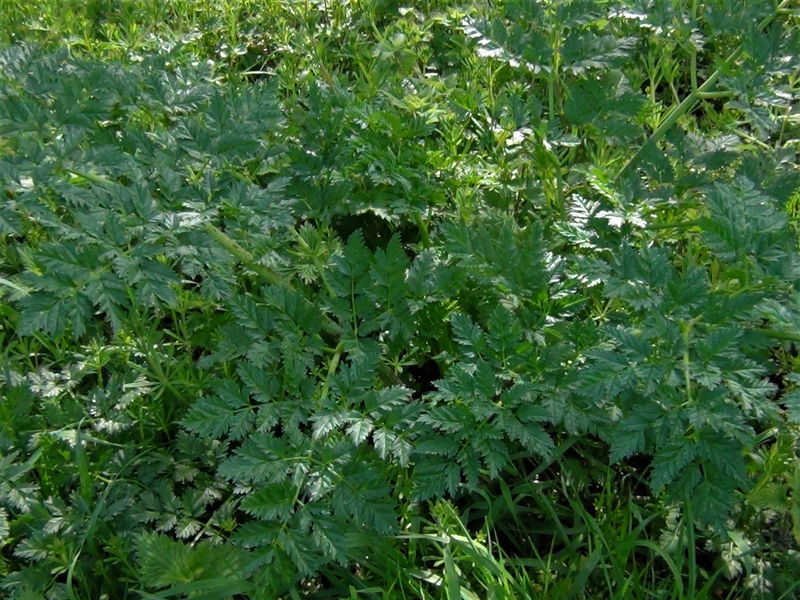 All parts of the plant are poisonous and even the dead canes remain toxic for up to three years. 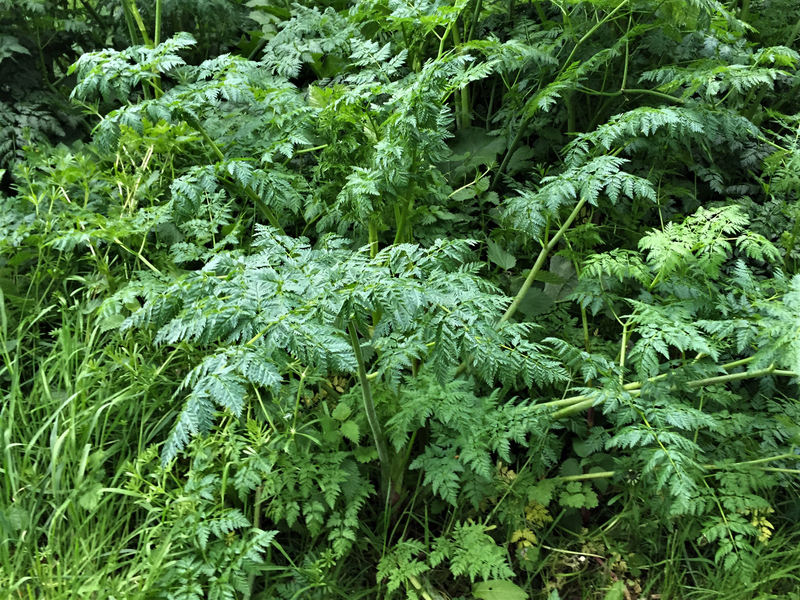 It doesn’t just have to be eaten to poison people, it has been reported that touching the plant for lengths of time, when pulling up large stands of Hemlock without gloves, has allowed the toxin to penetrate through the skin and make the person involved very ill. 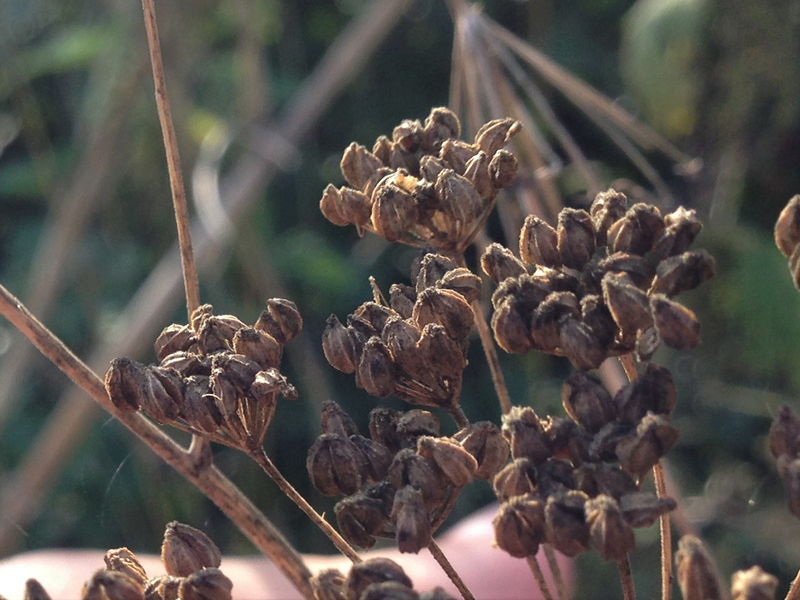 It was used as a form of execution in ancient Greece and Socrates chose it as his form of execution and talked about his experience as it took hold. 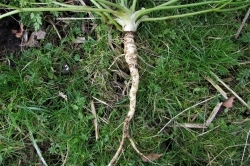 It numbed him from the toes and fingers up until reaching his heart and lungs and killing him. 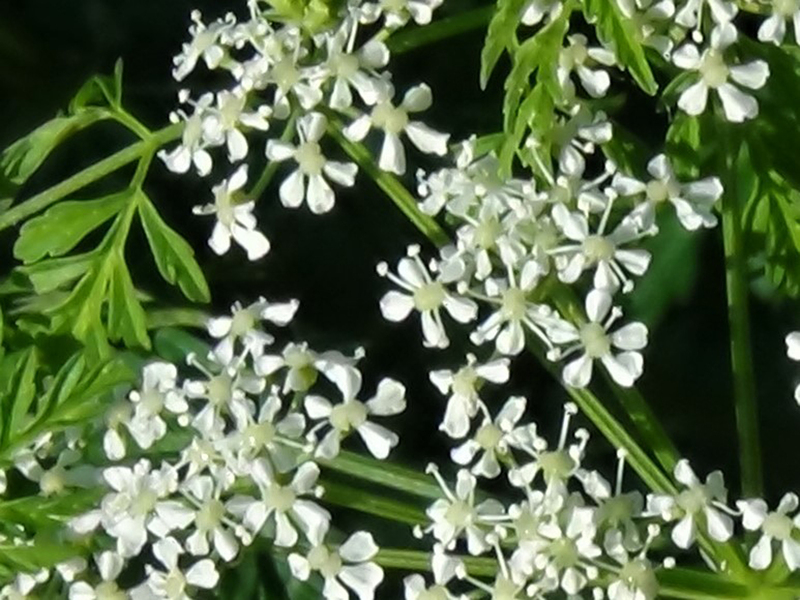 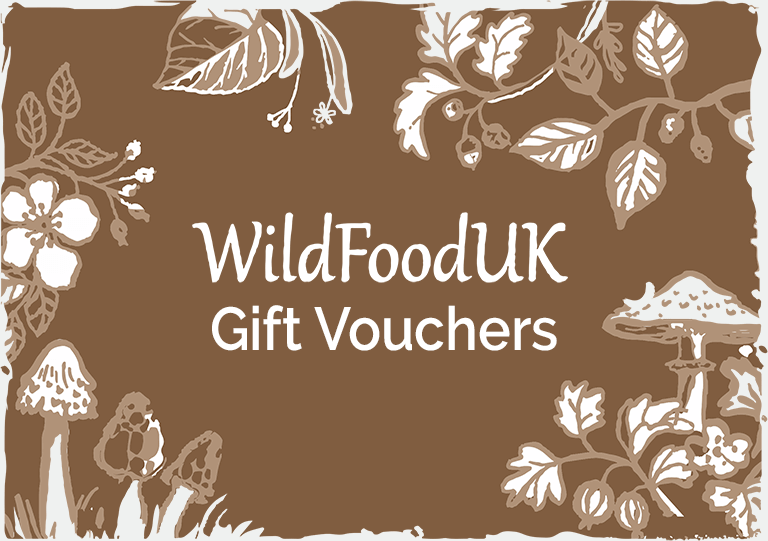 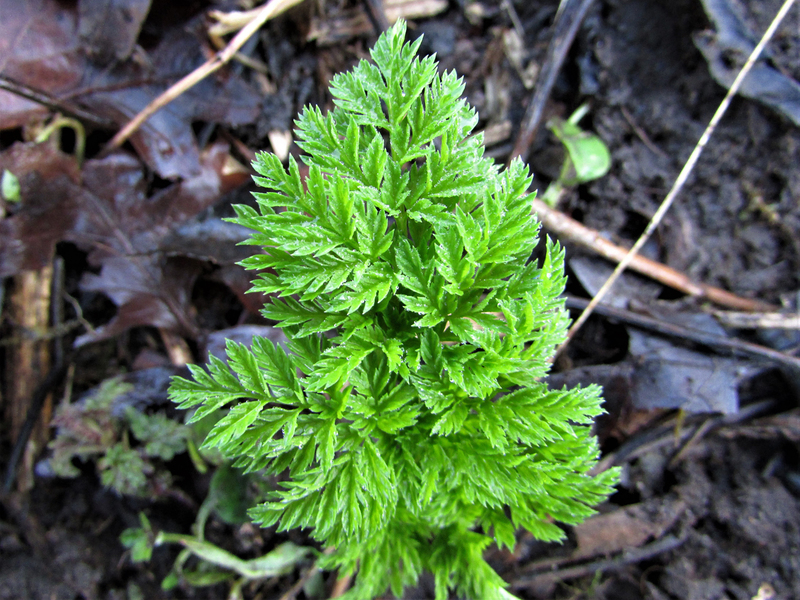 Hemlock is the tallest native Umbellifer in the UK.